The Learning Resource Center (LRC) is a 57,300 square foot administration and classroom building which also houses approximately 134 students in an alternative high school setting, Kirkwood classes, Home School Assistance Program and 77 staff. The building is primarily heated and cooled using high efficiency ground source heat pump systems. The building is the original Linn-Mar K-8 grade school and was Novak Elementary School until July 2010. It is part of the main Linn-Mar campus energy system. 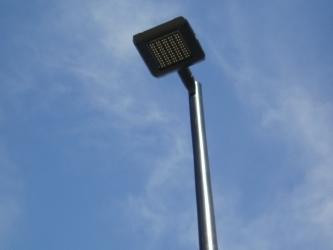 The LRC parking lot utilizes energy-saving LED lighting.